They say that heroes are ordinary people who go on to do extraordinary things. Basanti, a 30-year-old woman from Qoila Bhata is one such unsung hero, living in a remote village in Chhattisgarh’s Sukma district. Sukma is one of the least developed districts of India, touted as the hot bed of Left Wing Extremism. It is also one of the most illiterate districts in the country with a literacy rate of 31 percent. Most of the district does not have tarred roads. Nearly 65 percent of the district is under forest cover, making it difficult for villagers to get from one place to another. It is in such a district that Basanti was born to a family of poor farmers. Her childhood was one of hardships and grind. She completed her education till Class 10 in a local government school and applied for the job of an Anganwadi Worker. The Integrated Child Development Scheme (ICDS) is the key scheme of the Ministry of Women and Child Development which is run through Anganwadi Centres - the first outpost in villages for nutrition, health and early childhood learning. While the ICDS scheme has provisions for construction of Anganwadi Centres, in several tribal and forest areas like Sukma, getting required permissions for construction on land through relevant departments is a challenge. The construction of an Anganwadi Centre in Basanti’s village was going through procedural delays. She did not have a fixed permanent centre to work in, due to which the attendance and nutrition levels of children and women was dwindling significantly. Determined to reduce malnutrition in her village, Basanti decided to shoulder the responsibility herself and to build an Anganwadi Centre. This woman from Sukma single-handedly managed to accomplish what normally takes over Rs 6 lakh, a few months and at least a dozen workers to complete. She used the large front yard of her own house and started constructing a centre made of locally available material like bamboo, mud, coconut leaves, straw and clay. In less than six months, she managed to construct an Anganwadi Centre with two rooms, which today caters to over 15 children in the 0-6 age group and half a dozen pregnant and lactating mothers. Now with a fixed location, the women and children started attending her centre regularly. 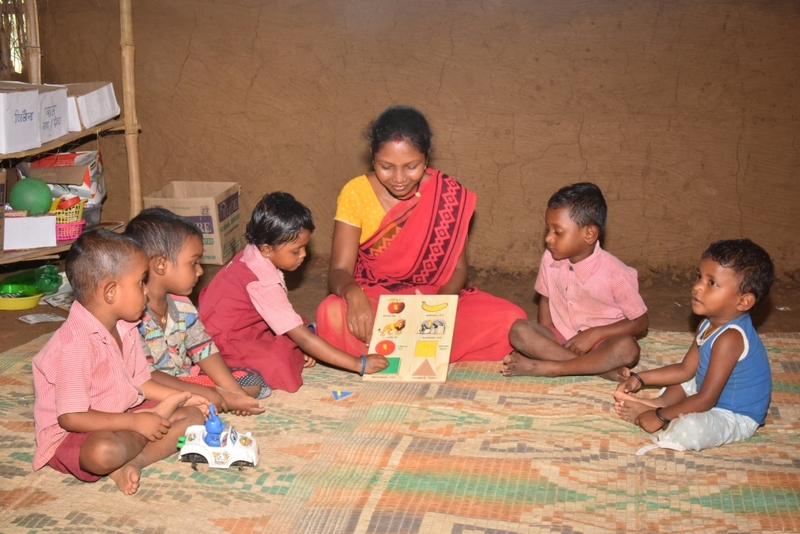 However, getting fresh vegetables to prepare meals in the Anganwadi was difficult because of unavailability of vegetables in the village, and the lack of adequate connectivity hampering the supply of vegetables from other villages. Once again, she decided to tackle this challenge herself. Having grown up as a farmer’s daughter, Basanti decided to put to use her experience in farming and created a supporting “subji baari” (vegetable garden) in her own front yard adjoining her Anganwadi Centre. After some months of planting the garden, Basanti has never had to buy vegetables from outside, and has a surplus supply of vegetables which she distributes to the villagers. Basanti never gave up even in the face of opposition from some who didn’t believe that she could see her Anganwadi construction through. However, there were a number of others who gave her moral support because they knew what she was doing would benefit the children in the village, and that boosted her confidence. For the villagers, she is an inspiration. “It’s very rare to see people like this. That there are still people who are committed to serving others is humbling. I respect Basanti a lot. She is our role model,” says Muka, a young farmer in her village. The Chhattisgarh state government recognised Basanti’s grit and awarded her for her commitment to reduce malnutrition in a challenging area like Sukma. 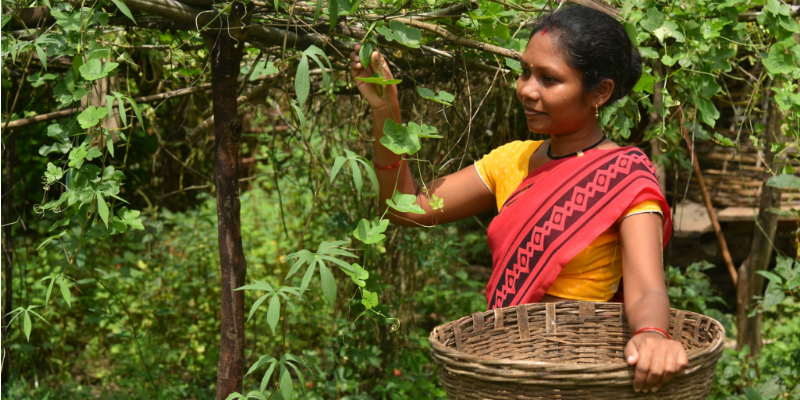 Basanti is a great example of how women can be true change agents and inspire other women to step out of their comfort zones to bring about development.